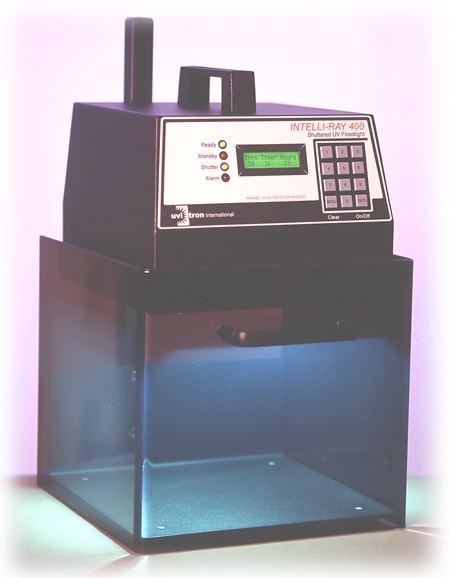 The INTELLI-RAY 400 is a compact microprocessor controlled UV curing system. Unlike competitors units, the INTELLI-RAY integrates all system components into a small lamp head which can be easily mounted anywhere on a factory floor, with virtually no cabling or remote control boxes required. Just mount the head, connect the AC line cord, and start timed exposure curing! 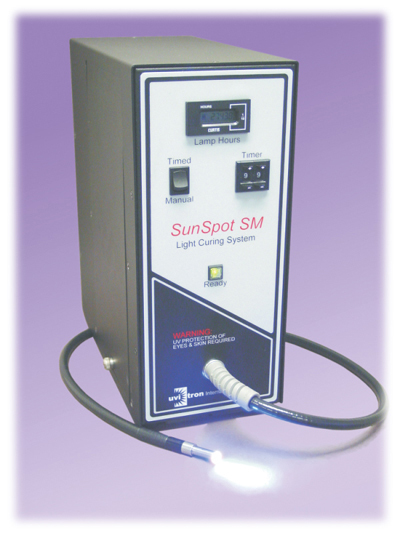 The system contains an integrated retractable shade type shutter, which allows for repeatable exposure timing, and shields the user from UV radiation. 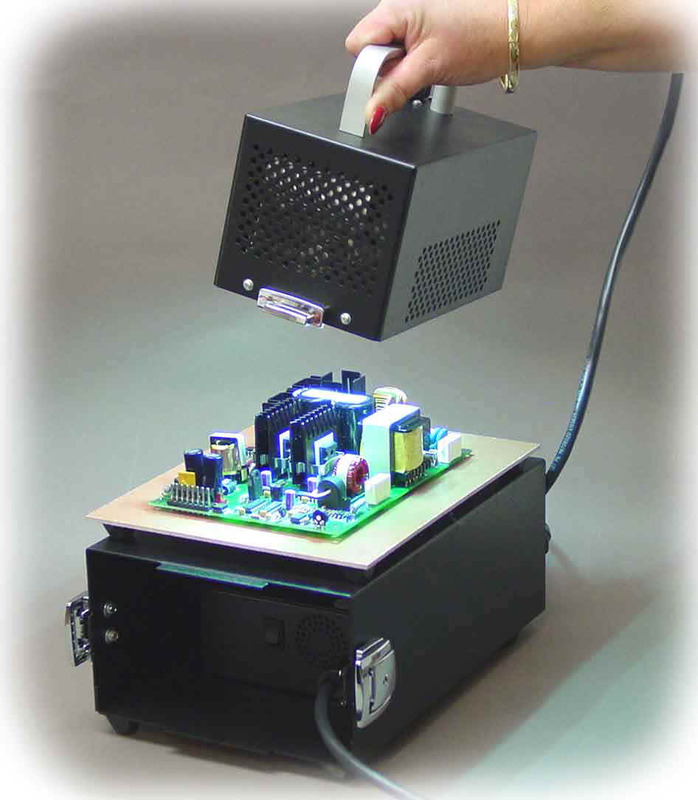 The system's LCD display and digital keypad make programming and monitoring of curing operations a snap. The long life 400-Watt metal halide type lamp and parabolic reflector illuminate an 8 x 6 inch curing area with evenly distributed 100mW/cm2 UVA light (320-390nm). Up to 185mW/cm2 with new 600W lamp! Now available with 600W lamp!